A warm welcome awaits you at Mardon Guest House where we hope to make your stay an enjoyable experience. Mardon is a small, friendly, family run guest house, ideally located within the centre of the beautiful city of Inverness. The city amenities including shops, entertainment venues, restaurants and Eden Court Theatre are only a short walk from our front door. We have our own private car park so you can just forget about the car while you explore the city. We are also ideally situated as a base for visiting Loch Ness and the Highlands. All rooms are en-suite and equipped with TV and tea/coffee making facilities. The house also has WIFI. James and Angela prepare breakfasts to order bearing individual preferences in mind. Choose from a full Scottish breakfast to a continental selection. We have had many plaudits from satisfied customers which can be inspected in our Guest Book and online on TripAdvisor and Hostelworld. James and Angela hope we can welcome you to the Scottish Highlands and Inverness. There are no rooms available at Mardon Guest House for these dates. Our 3rd stay with James and Angela. Friendly and accommodating as always. Clean, comfortable room and an excellent breakfast! Very helpful owners anything needed doing you asked and it was done. Plenty of eating places 5mins walk from guest house. The hosts James and Angela are wonderful people. Very friendly and eager to please. Best breakfast I had during my 1 month UK vacation. Make sure you take the river walk. I had a wonderful time at Mardon and felt very well cared for, especially the breakfast kept me going the whole day. In case one has a day to spare I highly recommend a train trip from Inverness to Kyle of Lochalsh - one of the scenic routes offered by scotrail. Although Kyle of Lochalsh itself has no specific highlights, the journey across the highlands offers breathtaking vistas. We really enjoyed our stay with you and especially the breakfast. Wonderful guest house located a few blocks from town attractions in a lovely, quiet neighborhood. Angela and James are terrific hosts - helpful and welcoming. Breakfasts are great. We would be delighted to stay here again should we return to Inverness. James did everything possible to help us have a good stay in Inverness...arranged an early taxi, tried to get last-minute dinner reservations, oriented us to the area and what there was to do. In all ways he was a cordial host. 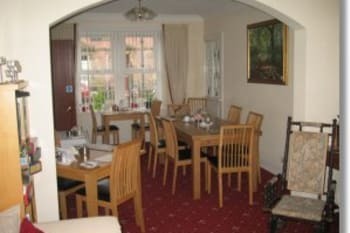 - Mardon Guest House has a small lounge area in the breakfast room, which many B'nBs don't have. It's nice to have a place where you can sit and read or plan your day instead of having to spend every minute in your room. - If you have a choice, you'll be glad to have a smaller car. There's parking at Mardon, but it's tight. - There is wifi, but it's not strong. My husband's laptop connected, but my (older) iPad did not. We found this to be true in several other places, not just Mardon. Maybe it's good to disconnect a little bit! - Tesco is only a block away, so if you need to grab some fruit or a sandwich to take with you for the day, it can be easily done. - The castle and excellent adjacent museum on the history of Scotland are walkable from Mardon Guest House. - You'll get a choice of good, hot breakfasts. Wonderfully friendly hosts who couldn't do enough to make my stay comfortable and enjoyable. They genuinely love people and their role as hosts. Mardon is also one of the very few guest houses that offers on-site car parking. A great base for exploring the north of Scotland. I loved the feel of Inverness and it's surrounds. It's not a massive city, but has all the services and a great "feel". Thank you so much for the wonderful stay! You've set a high bar for any other B&B to reach. Should I ever make it back to Inverness, I'm definitely trying to stay with you again! Close to town and everything you'll want to do! Walking distance to Inverness Castle, downtown pubs, and shopping. Grocery store nearby for the necessities, off street parking, and don't hesitate to ask the hosts for recommendations. Good information and friendly accomodation and service. Castle: botanic garden, loch ness, journey to the isle of sky, water way, caledonian way. James and Angela are kind and friendly hosts. They are ready with lots of local information and very flexible. Great to visit with. The accommodations were charming, comfortable, clean and quiet. (I personally loved the morning and afternoon bird chorus outside the window!) Angela made us wonderful sandwiches for our field trip to the Orkneys since we missed breakfast our first day, The sit down breakfast had plenty of choices and was delicious! Thank you for a wonderful (if brief) stay! You’re little more than a block away from the beautiful Ness River riverwalk, and quick bridge crossing to the Inverness Victorian market, the shopping center and some of the historical buildings.The bus station is within a 10 minute walk. The Orkney day tour is fine if you don’t have a lot of time (it’s a long haul of a trip) but we recommend spending at least one night there, instead, and take your time exploring. 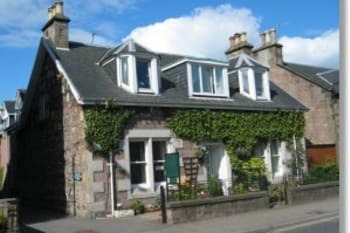 The Mardon guest house is in a great location for walking around the town of Inverness. Bring a raincoat. James and Angela are very helpful and great fun! Great stay! Do try the breath-taking views to be enjoyed from the train ride between Inverness and Kyle of Lochalsh. Superb! James and Angela are wonderful hosts! They are very friendly and helpful. The room was comfortable and clean. We stayed in the family room on the top floor to the back of the property which was very quiet and comfortable. Excellent breakfast of your choice. One of the best guesthouses in which we stayed. We will definitely stay there again. Very friendly hosts. Takes good care of the guests. We enjoyed our stay at Mardon Guest House and the welcoming hospitality of our hosts Angela and James. The house is within comfortable walking distance of the main street and restaurants as well as other places that we wanted to visit. Walk along the lovely River Ness and through the Ness Islands. James and Angela are wonderful and helpful host. Very clean ,located close to city centre. Food was excellent. Centrally located with fantastic service from lovely people. We were made very welcome. Our hosts were very friendly. It was great to have a car park. Easy to walk to town. Breakfast was a little early for us who like long lie-ins but delicious and cooked to order. I would recommend. We has a totally fab meal at The Fig and Thistle. Friendly, quiet b&b lovely place! The location is excellent, within minutes walk of train station and pick up point for tours. Great place! Would book there again without even looking elsewhere. James and Angela were excellent and welcoming hosts. Breakfasts were great as well. Very clean rooms, excellent location. within walking distance of just about anything in Inverness. great spot! The staff were very friendly and helpful and the breakfasts were tasty and generous. The owner made an effort to remember each guests name. Location was excellent and within walking distance of central Inverness. Thank you for being such wonderful hosts! Everything was perfect, and your kindness and warmth made the experience truly special. What an excellent place to rest after the busy conferences and sightseeing. The hosts were very receptive and helpful. The breakfast was spectacular. Additionally, the internet was fast enough to skype home. Thank you for a delightful stay. Easy walking distance to the city. The perfect B&B!!! So welcoming and helpful. Couldn't have wished for better. Highly recommended. Great location, helpful owners, tasty breakfast and free onsite parking- highly recommended. We loved our stay at the Mardon Guest House. James and Angela were incredible hosts! We would definitely stay there again. Thank you! 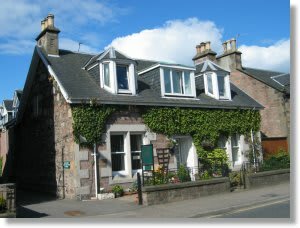 I travel extensively for my work and Mardon Guest House is always my first choice for somewhere to stay in Inverness. Angela and James are wonderful hosts and staying with them is a joy. The rooms are comfortable, the Wi-fi is strong and the breakfast second to none. Looking forward to the next time! Excellent, friendly and accommodating hosts James and Angela. Clean and comfortable room. And a brilliant breakfast. Definitely be back next year. Thank you we had a very pleasant stay. Johnny Fox's a great place to go for some good live music. If you have a car a drive along Lochness to Fort Augustus is well worth it some fantastic scenery. Warm welcome! Friendly hosts! Delicious breakfasts! Guest house well situated to the centre and to many amenities,restaurants pubs,Eden theatre, walks around the river Ness. Angela and James were so kind, friendly and helpful. The room was cosy and private, there was even a teddy bear in there to keep my company. The lodging is close to the river, short walk from most things. But it is in a quiet spot so you can rest easily. Walk up to the top of the castle tower for the view alone. Then keep walking along the river to the islands. Very pretty and peaceful. Loch Ness from any aspect is stunning. This was our favorite place that we stayed in Scotland! Hosts are very friendly and accommodating. I don't think I've ever stayed in a cleaner place! The food was delicious. We felt right at home. 5 min walk at most into Inverness. Lovely city! Excellent hosts who make sure guests are comfortable , well fed and any reasonable requirements are met . Great house, great location and most importantly great hosts - really nothing I'd change. Thanks to Angela and James for making our stay so pleasant and trying to accommodate extra requests like packed lunch instead of regular breakfast on a day we had to go out early for a tour. It's very convenient to arrive by bus or train - the B&B is just a 10 minute walk max from both. I'd highly recommend the Inverness Museum and Art Gallery: free entrance (donations appreciated of course) and lots of information about the local history, geography and culture. Plenty of good restaurants close-by and the little Ness Islands are just a 20 minute walk as well - a truly lovely place. You create a very nice atmosphere in your house. Thanks again ! The Ness Walk is very nice. Do walk as far as the small islands and come back along the other side. Good view of Inverness from the garden of the castle. Try River House restaurant, it's amazing! VERY PLEASANT STAY. WOULD COME AGAIN. The location is ideal, being a very short walk to the city centre. The room we had was great with a nice sized bathroom. Our hosts were great and provided excellent information about places to eat, things to do in the area. The breakfast options were also fantastic. The host James and Angela are very friendly and helpful. Delicious breakfasts. Very good atmosphere at breakfast room. Just love the stay at this guest house. Every place we eat fish and chips was wonderful. So many different things to do, I wish we would have more time to spend. Perfect location for exploring Inverness, and in a city where parking is hard to find, Mardon Guest House has its own parking lot. Upon registering, James will give you a "tour" of Inverness and point you in all the right directions for strolling, eating, drinking and enjoying this very charming city. Walk along the Ness River to the Ness Islands, and if you are in town on a Wednesday evening, have a drink at the Castle Tavern and then go listen to the City of Inverness Pipe Band practice in front of the castle, and while you're there, take in the panoramic views. Very friendly host/ hostess. Great breakfast, comfortable room. Has a car park. We thoroughly enjoyed our three-night stay at Mardon Guest House. James was a delight to encounter every morning at breakfast! Both he and Angela provided a very warm welcome upon arrival and a fond farewell upon departure. The rooms were comfortable, well-appointed, and very quiet. Breakfast was excellent every morning. The location of Mardon Guest House is fabulous - within walking distance of the train station, the river, and the downtown area. We enjoyed walking along the Great Glen Way and crossing the islands in the River Ness. Exploring Inverness on foot was exciting, and it led to sampling the wares at places such as Nicky Tam's, the Waterside, Johnny Foxes, Hootananny, Black Isle, Gellions, and Number 27. Perfect location, walkable to the heart of the city. Quiet location, even though on a fairly busy street. Fabulously welcoming hosts, great breakfasts, lots of suggestions on where to go, time/distances, etc. International clientele. It was a great stay! The house is very well located in the city center of Inverness, easily accessible from the main roads. The rooms are spacious and well decorated. James and Angela are really nice and funny people, they can recomend you a lot of thing to do or places to go. The breakfast is also amazing. In few word, it was perfect. Excellent service! Very pleasant owner! During my stay,I enjoyed a warm Scottish welcome from Angela and James - I was made to feel at home. The breakfasts are excellent and on the mornings when I needed to leave extra early, my hosts kindly provided a packed breakfast for me. A day trip to Orkney Islands is worthwhile. A walk along the River Ness can be as leisurely or as active as you wish. Very friendly guest house within easy walking distance of the town centre & station. A good base for getting out & about to coast & countryside. I felt at home in this B&B and I hope I'll come back! the oriental restaurant, riverside, besides the bridge for cars: prices okay, to eat on place as to buy take-away; to recommand: tasty mezes/appetizer the panoramatic-view on the tower of the castle: amazing! Problem: public bus traffic, particulary with regard to the week-ends. Great hosts and great location near the city (5 min walk to the centre). The rooms are very clean. The hosts are very lovely people. Next time again. Everything clear, comfortable, and a delicious breakfast. Very friendly and helpful with local information. Nothing But Praise For James & Angela /Willing To Help With Anything & As Genuine & Helpful As They Come ~~ First Class ~Ace !! Well Done! & A Breakfast To Die For ! Asian, Caribbean, French, Italian, Turkish and the many seafood restaurants around the town provide a great variety of eating options. Try some! Also, visit the city museum and Culloden Moor, if you get the chance. Much history in the area. Walks along the riverside are worth a few hours of your holiday time. A warm welcome. I was treated like a family friend, rather than a paying guest. Lovely! This was our first ever B&B and it was lovely. Room spacious and clean as was the bathroom. Breakfast tasty. Wi-Fi and parking available. James very helpful with ideas on what to see and do. Fifteen minute drive to The beautiful Lochness and Lochness Centre and Exibition, The British Legend is a 2 minute walk from the Guesthouse, where you can go in and enjoy a drink or two with great prices. Walk over the bridge and you are in the city centre with plenty shops and bars, The Victoria. Market is nice to walk round . Great enjoyable stay.Friendly hosts,good location, nice rooms and great breakfast selection. James & Angela Made us feel so welcome nothing Was too much trouble. My brother and I both enjoyed our weekend there our rooms were lovely we would definetey stay again. Inverness has got lots of great places to see and a lovely theatre to go to shows. Very friendly and welcoming. We had a very early start on the Sunday morning (25th Sept) and were very willingly accommodated. Clean, comfortable, private parking, 5 min walk from town centre. We really enjoyed our stay. Lovely little guest house, handy for everything - town, restaurants, theatre, bus and train staions, canal and riverside walks all within 15 minutes walk. Nice welcome, hearty breakfast and overall comfortable and pleasant stay. Thank you for your excellent hospitality whilst staying at the Mardon Guest House and your helpful knowledge on where to visit whilst in Inverness. Excellently placed for walking into the centre of Inverness. Our hosts were hospitable and informative. A lovely stay. Very kind and gentle folk running the show. Would happily stay again. JAMES AND ANGELA WERE VERY FRIENDLY AND HELPFUL! THEY PREPARE FRESH BREAKFAST EVERY MORNING (AND IT CAN KEEP YOU ALL DAY!). THE ROOM WAS CLEAN AND COSY AND REALLY 3-MINUTE WALK FROM THE HEART OF INVERNESS. WE TOTALLY RECOMMENT IT! INVERNESS IS A BEAUTIFUL AND SMALL CITY. YOU CAN VISIT THE WHOLE OF IT WITHIN A DAY. FAVOURITE PLACE THE NESS ISLANDS AND THE MARKET. FOOD AT THE CASTLE TAVERN, WITH NICE VIEW AND TASTY MEALS. MOREOVER, SO MANY ATTRACTIONS AROUND THE CITY, LIKE CASTLES, CULLODEN, DISTILLERIES, ETC. very friendly owners clean and comfortable room and good breakfast. I had a wonderful stay! The hosts were very kind, and offered lots of great advice. The breakfast was very generous, and the rooms were comfy and cozy. No complaints. The place is wonderful and James and Angela are the loveliest hosts ever! In the morning It's a pleasure to have breakfast from an accurate menu and have a conversation with James, he makes you really feel at home. Inverness Botnic Gardens past the Bugt Park on the same side of the river as Kenneth St.
Très bien situé dans Inverness, proche du centre-ville. Les hôtes sont très prévenants dommage que nous les ayons perturbés en étant 10 (petit-déjeuner) dans leur organisation. Néanmoins, ce B*B est parfait pour les motards (parking). A recommander. We had a wonderful stay at the Mardon Guest House. The owners, James and Angela were friendly, gracious and caring, and took care of all our needs, even offering advice on where to go and where to eat. The rooms are clean and have everything a traveler could need. Though on a major road running through Inverness, traffic noise was very low. Off-road parking is ample, but cramped. We would not hesitate to stay there again. As the Mardon is on a major road running through Inverness, traffic can be at a virtual standstill in front of the Guest House. You must take this into account when arriving or leaving by car during the day. The Mardon's location makes for a very short and easy 5-10 minute walk into Inverness city center. Dinner reservations are a must at several restaurants in town. James can assist with recommendations and provide phone numbers for booking. Easy walk to lots of eating places and centre of town. Free parking onsite, a rarity in this area. Lovely place, lovely people. 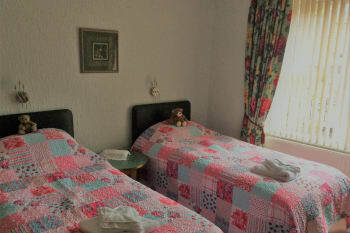 The rooms are spotless and comfy, breakfast is excellent and there's even a private car park. Excellent value for money! Excellent to get tips from James of what to do and see in Inverness (where to rent a bike, where to eat, non-touristy things to see etc). Very thorough description of how things work in the B&B (doors, shower etc). Thanks for a great stay! We really enjoyed our stay here. The room was very clean, quaint, pretty quiet and peaceful even though it sits on a road that can be busy. Facilities are nice and just what you need and they keep them very clean. The breakfast was fantastic, we loved the porridge and James was always there making sure you had everything you need without being overbearing. We loved that they were engaging and always asking us about our days and what we had done, where we were headed, and offered suggestions. We're willing to go out of their way to help when I had a minor injury which I can't thank them enough for. All in all, wonderful service, very atentive and would highly recommend! 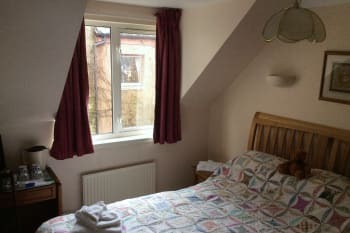 Very attentive, friendly owner, cosy room and comfortable beds. Breakfast very good. The town centre is only a few minutes away and there is parking for guests. Room has television with DVD, plus WiFi. Can't think of any negatives, so would warmly recommend. We received a lovely welcome and were given maps of Inverness and the surrounding area which enabled us to walk into the centre of Inverness easily in about 10 minutes.The owners were very helpful and nothing was too much trouble. Excellent breakfast at a time of our choice. The rooms were very clean and comfortable. Altogether a very enjoyable stay. Highland wildlife park and the Strathspey Railway in Aviemore are both worth a visit. We enjoyed a meal at the Beefeater. Excellent hosts! We were helped with places to eat in Inverness and, on a day we had to leave early, given a delicious packed lunch of ham sandwiches--so much food that it lasted us two meals. A bit too far to walk from bus or train station with luggage. Taxi is best. Good proximity to a self-serve laundromat in Inverness. Very pleasant,and welcoming,really pleasant stay,room number 5.loved the in house entertainment as view from the bedroom window,collared doves feeding there young.parking ok,but you must remember to reverse into the lane, or you end up doing a10 point turn. Riverside family restaurant excellent,but you must book,good location for Inverness,shopping if you don't have a car.pleasant stroll into Inverness lined with antique shop and restaurants beautiful tree lined river.Plenty to do site seeing or shopping. Such a lovely place to stay, just over the river! Close to everything, very clean, lovely breakfast in the mornings and lovely service from James and Angela. Would definitely stay here again and recommend to anyone. Plenty of restaurants etc nearby. Breakfast cooked to order daily at Mardon. You should prepare for charm and eagerness to please; a little bit twee with ornaments and silk flowers a-plenty. Very clean and super breakfasts even though one needs to decide the day before what one would like - not always easy with no menu. Very close to city centre but far enough away not to be noisy other than traffic during daytime. Parking good. Prepare for Scottish closing times - many food places stop serving by 8.30pm, best to book. Inverness is great for history and convenient for travelling out to such as Loch Ness, Culloden, Brodie and Cawdor castles, and cruising the Caledonian Canal. It boasts a Botanical Garden which is free and worth a visit, great Cobbs cafe there too. Be sure to visit Chanonry Point for dolphin watching. Thank you for your kind review. Angela and I are glad that you enjoyed your stay. I'd just like to point out that our breakfast menu is on the wall outside the dining room and there are copies at the breakfast bar in the dining room. Kind regards, James. Great stay. Wish I could have done another night. Friendly and accommodating. James and Angela are lovely! It is a wonderful B&B! I very much enjoyed my stay at Mardon. The hosts were quite helpful and friendly, and the accommodations were excellent. I appreciated the shortbread with the tea/coffee in the room, and the choices for breakfast were just right. This stay definitely added greatly to my enjoyment of my time in Inverness. The museum has a good variety of interesting and relevant displays, and I highly recommend it. Urquhart Castle is worth a visit and easily done by bus. Johnny Foxes has good pizza, reasonably priced. James and Angela were great hosts, interested in their guests, but also very unintrusive. Guests were basically left to their own devices, but always on hand if anything was required. Also many leaflets and guidebooks on hand for guests to pick up in the dining area/lounge, also information guides in the rooms. It was mainly James that I saw through my stay and he was very helpful and full of advice about places to visit, eat, entertainment. The guesthouse is situated about five minutes from Inverness City Centre and also situated beteween the Caledonian Canal and the River Ness. So if you like walking, take daytrips or just visit the attractions of Inverness itself, then the Mardon is in the ideal spot. You were both accommodating and friendly. We really enjoyed our stay! Great location for downtown Inverness. Easy to get to restaurants for dinner. James and Angela very welcoming and informative. Great breakfasts. Rooms comfortable and compact. Worth walking to the Botanic Garden on the River. Museum near the Castle is also a great find - just enough information for vacationing minds... Not far from other sites outside of town - Urquhart Castle, Loch hikes, seaside trips. I stayed with James and Angela for three nights and they were the most gracious hosts! Nothing was too much trouble and they were extremely welcoming and friendly. The room in the B&B was very comfortable and clean, and it was located within close walking distance to the main part of town. I would highly recommend a stay at the Mardon B&B to anyone. Very friendly. I would definitely stay there again. Made to feel welcome from the minute I arrived. I was in inverness for the marathon so didn't see much of the sights but visited the rajah indian restraurant which was very nice,busy and lovely food . James and Angela were very welcoming and couldn't do enough to make our stay enjoyable. Very friendly, next to city center, everything clean, good breakfast. Staying there was a pleasure! The staff was very helpful and friendly, a delight to arrive! The location is perfect, everything is within a five minute walk. Don't skip a night in the Hootananny, excellent for meeting other travellers. And reserve a good hour for the second hand bookshop. Very nice B & B in a good location. Friendly hosts and good food--what more could you want!! very nice Italian restaurant just over bridge --bella italia(I think it is called) Quite a few nice restaurants in town. Good range of shops and coffee shops as well--nice shopping mall Everything convenient for bus and train stations. James and Angela were very hospitable and I would be really happy to stay with them again. The guesthouse is very central. James was very keen to provide information on where to go and visit. Food was good, a pleasure to stay at. Very cute rooms. If you have a big car, you will struggle. This is a place I would love to visit again and again. In the middle of the city, close to the station, shops and restaurant. A great experience. The room is nice, clean, comfortable and equipped with everything one would need to feel comfortable. The breakfast was generous and delicious. We stayed for 5 days , enjoyed our twin-room , the breakfast with the wonderful fruit-salad , the information about Inverness , the car park at the rear of the guest house and the warm hospitality . Angela + James do a very good job !!! When I come back to Inverness I do know where to stay . Fantastic stay hosts were very friendly as well as super helpful would Recommend staying here I will certainly stay here next time Im that far north. Really enjoyed my stay at Mardon Guest House. James and Angela were very welcoming, the breakfast was great, and the rooms were cozy, clean and quiet. I would easily recommend this place! Lovely little guest house. Very friendly staff. Thanks, James and Angela!!! Fantastic, perfect hosts, friendly and lots of information on what to see and do. The breakfast is excellent and sets you up for the day. Would stay here again no problem. Really friendly and welcoming, and very informative about where to go and see in Inverness. The range of restaurants is impressive. I liked the food at the Brasserie on the riverside, though it can be hard to get a table. I found the owners were friendly and helpful, the single en-suite room was spacious and well-fitted out with a comfortable bed, and breakfasts were really good. The hosts James & Angela were most helpful as to the best places for tourists to go see, appreciated that as other B&B 's that we chose were autrocious & very rude. The room was warm , cozy & very clean! The breakfast was excellent, I should know as I am a cook by trade.The location was close to many Restaurants, shopping , legion and Transportation. What more could one ask for.We wish James & Angela much success, they deserve it. excellent breakfast, kind owner, rooms are small but clean and well equipped. Tesco within 2 minutes walking-distance; Inverness city center within 4 minutes. Great location, very good and nice hosts. The breakfast was really good and we got very good tips where to go and what to see and visit. Awesome B&B! Will definitely want to stay here if I'm ever in Inverness again. Worth the money spent.. Great hospitality and lovely breakfast..